The only foreign language film to make the 2012 best picture list. 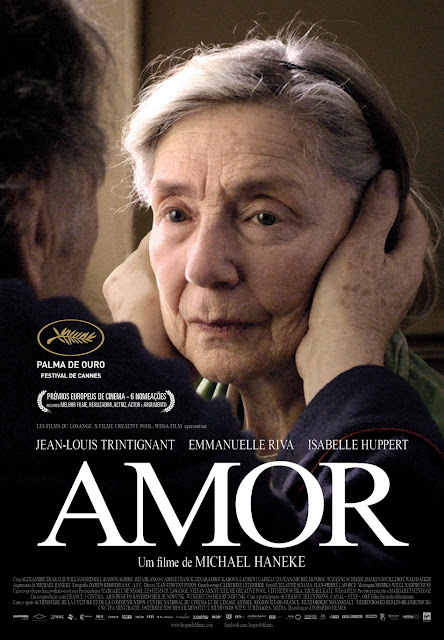 Amour (2012) is about the hardest parts of love. The Fire Brigade busts open an apartment door and quickly searches it. They find a woman in a back room lying surrounded by flowers, dead. It cuts to the title, Amour, which means love in French. We then go to our couple Anne and George Laurent as they attend concerts and chat. In the middle of a conversation in their kitchen, Anne freezes. George tries to snap her out of it, he even puts a damp cloth on her head. She has had a stoke. This is about a family dealing with Anne's two strokes and eventual death. This one strikes very close to home as my grandmother suffered similar issues early last year. This is a hard watch even without the personal baggage attached. 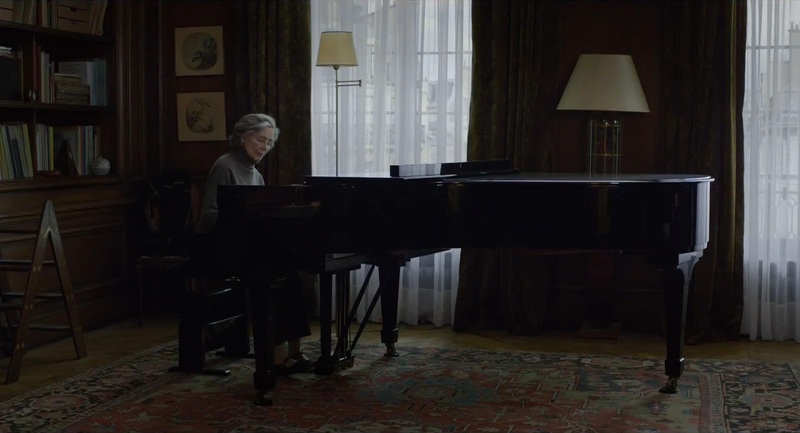 That said, it is a beautifully simple film that allows the story to unfold without much of the frill or drama. George Laurent is a husband who tries his best to care for his wife in addition to complying with her requests. He handles this task admirably at first, but soon the strain begins to show as Anne becomes more difficult and he slowly loses the woman he loves. He is not the all perfect, ever steeled warrior of myth. He is a simple man and he deals with the problems the best he can. 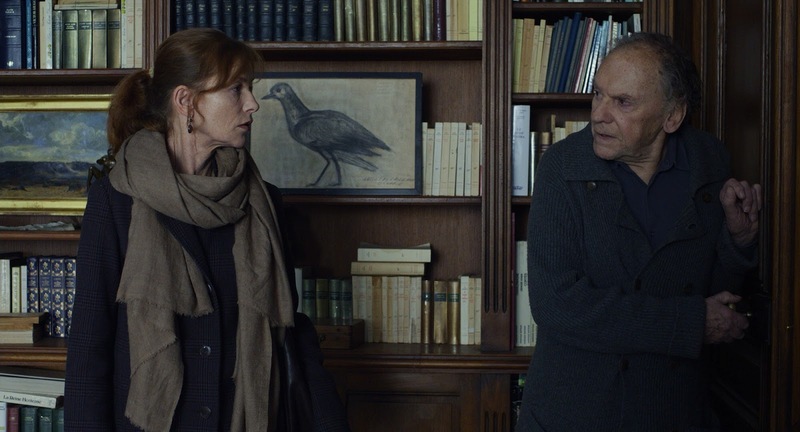 Anne Laurent is George's wife who struggles through two strokes and the indignity of losing her mobility, then her speech, and finally her mind. She starts off as a music lover and high class French woman who loves the theater and music especially. She was a piano teacher and a few of her students have even become quite successful. The indignity of her illness becomes more and more unbearable to her as the film moves toward the only possible conclusion. Eva Laurent is Anne and George's daughter. She has her own life and problems, but she is a deeply concerned daughter who wants to help her parents. However; George doesn't want to inconvenience her life and Anne would rather not have her daughter see her in her crippled state. I can definitely relate to her feelings. Hurray, Helplessness. 99% of the film takes place in the Laurents' apartment. We see them out at a concert early in the film, but the rest is confined to about five rooms. The framing and character involvement really draw one closer to the characters. This is not a film for everyone with its lingering shots and long takes. There is an entire scene where George catches a pigeon. That being said, it is very beautiful. Some may be surprised, but others won't be. I cried. It is hard to put this one on the same field as the others. It certainly isn't a traditionally enjoyable film. It is hard to watch emotionally and in general. However, like many great things it shines a light on the harder sides of life. We all get old. We all face death. We deal with it the best we can. If you're looking for a film that'll make you think about how deep one person can love another. This might be the film for you. Tomorrow, I tackle a less challenging film, I hope. It might be worth re-considering (evaluating perhaps?) 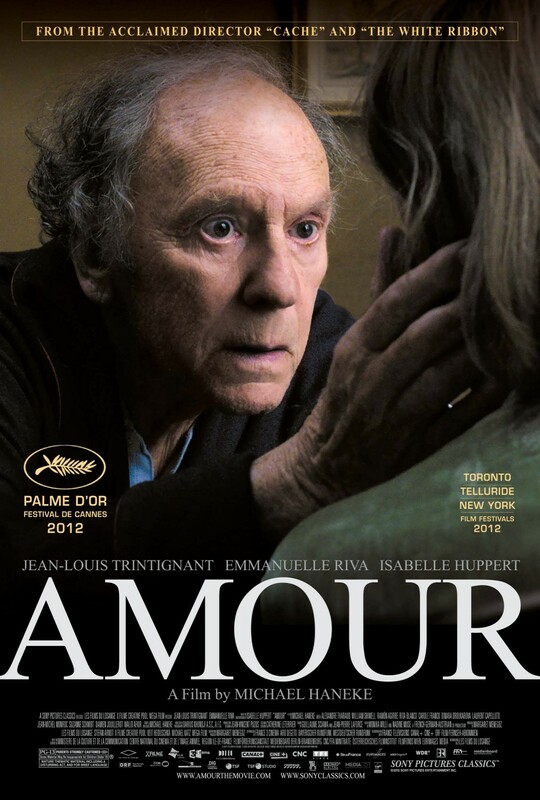 the magnificent Amour in the context of Michael Haneke's previous masterworks, particularly Code Inconnu and Cache.